Marie Kondo is a decluttering master – except she calls it tidying up. 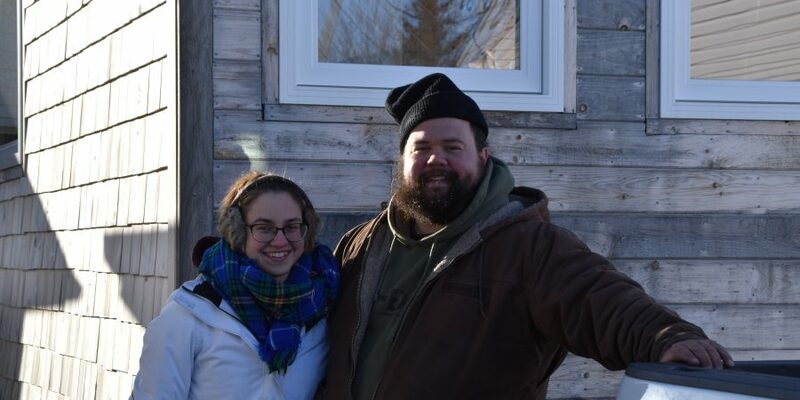 We’ve been following her method for the past couple of months to declutter our home. You can read our posts about decluttering the clothes category, the books category, and the paper category. 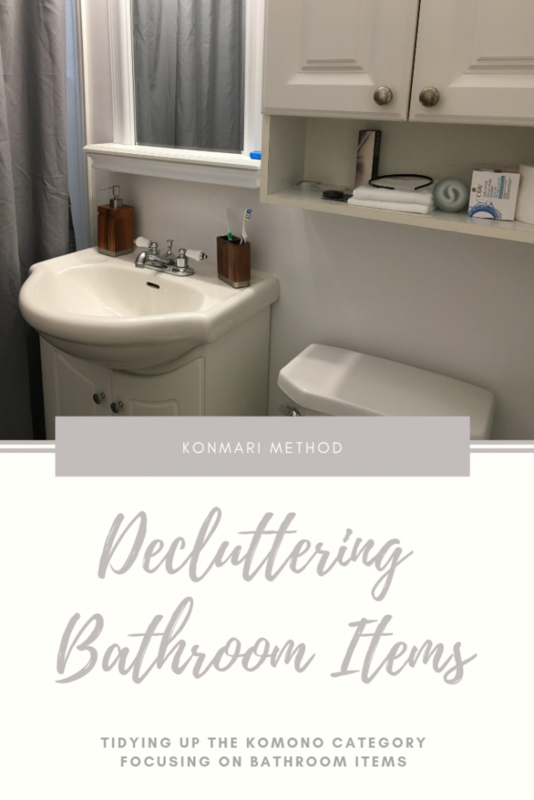 Today, we are talking to you all about decluttering bathroom items from the komono category. We keep lots of different products in the bathroom. 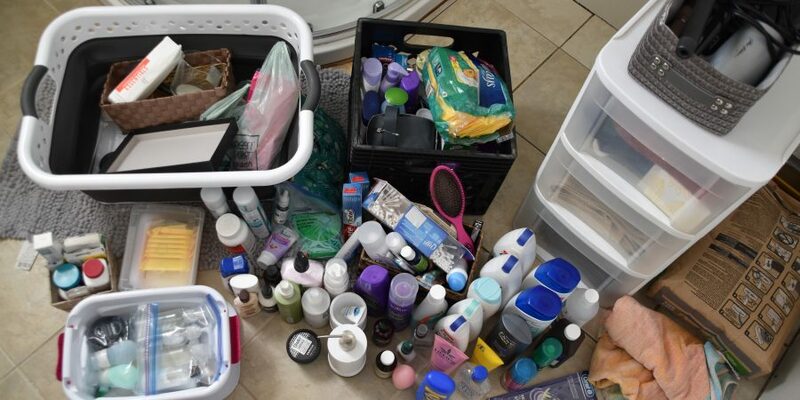 We keep most of our toiletries in there, as well as our towels, my makeup & hair products, and some self care products. The downstairs bathroom also has all of our laundry items, but those will be sorted separately. Fortunately, I do take a look through our bathroom items quite frequently so there was a lot less to throw it than usual. However, I did make the decision to donate quite a bit of what we had been keeping in our stockpile. We’re at the point in time where we need to start minimizing, not just decluttering. I’d love to hear what you have been getting rid of in your bathroom. Let me know in the comments and how your decluttering journey is going!